• In this story, Causeartist explores how markets will need to adapt, specifically by using social media, to Gen Z becoming the largest class of consumers. • How can impact philanthropists use knowledge of these trends to effectively appeal to Gen Z-ers? What can nonprofits learn from the model established by PurPics? • To learn how we can prepare Gen Z by addressing the skills gap, click here. By 2020, Gen Z will account for 40% of all consumers. With this new generation graduating college, entering the workforce, exerting their spending power, comes another change – a fundamental shift in marketing. What is this shift? And why is it relevant to Gen Z? Let’s take a step back and look at the context in which this generation is seeing the world first. They experience content overload (5.5 million pieces of social content are consumed every minute). They have a steep decline in trust (Edelman reported an 11-point drop in trust in social media in the US and a drop of 9-points in overall trust in the US). They have enormous pressure to address global challenges (The world population is projected to reach 9.8 billion in 2050). 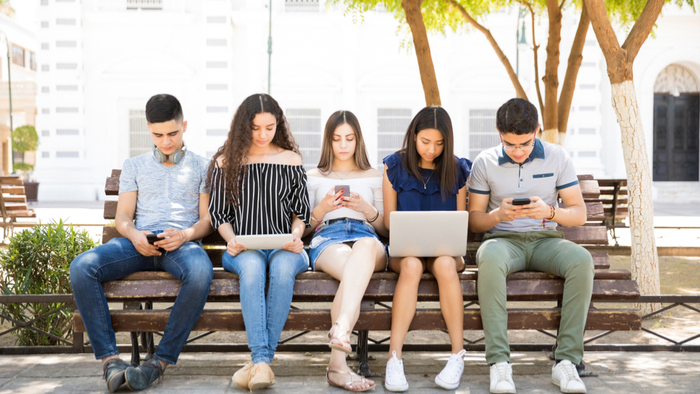 These three trends in Gen Z’s short but meaningful lifetime, have shifted their mindset when it comes to consuming content, engaging with brands, and ultimately purchases their products and services. Connect – Brands select partners from our network of Gen Z organizations such as service clubs, fraternities, sororities, Dance Marathons, and more. Post – Through our mobile app, members of the organization upload content promoting brands to their personal Instagram accounts. Benefit – For every like the organization’s Instagram posts receive, a few cents are donated to a charitable cause of their choice. Brands track real time campaign analytics on their company dashboard, gathering valuable social media data on their Gen Z consumers. Where and How Do We Give for Good? Social Enterprise is a fascinating topic, and others found these events, galas, conferences and volunteering opportunities aggregated by Giving Compass to be relevant for individuals with a passion for Social Enterprise. In addition to learning and connecting with others, taking action is a key step towards becoming an impact giver. If you are interested in giving with impact for Social Enterprise take a look at these Giving Funds, Charitable Organizations or Projects.